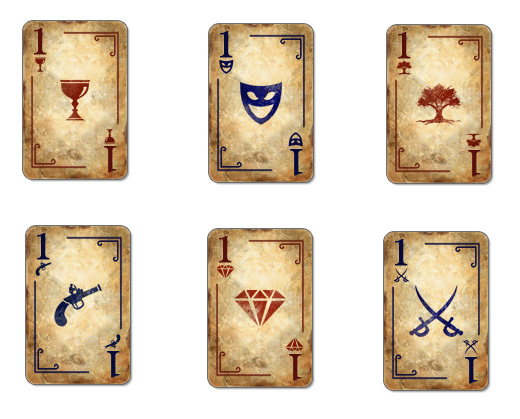 The deck of cards that we developed for Shadowhand is not a standard 52 card deck. We have changed it up a bit losing the royal cards (JQK) and numbering the cards from 0-9. We did this to increase the chances of making a long run (a smaller number of possibilities means a greater chance of a match). In addition to changing the numbering system, we decided to go with historically-themed card suits. 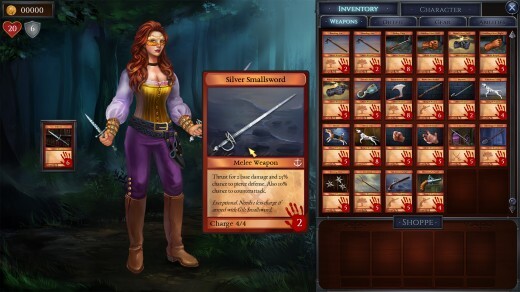 This turned out to be a good move, as there are numerous ways some of these can be used as you upgrade your skills to become a better highwaywoman. Above you can see the suit designs for chalice, mask, oak, pistol, gem and swords. One of the first ways that players get to use these suits is when they complete a training level. The Chevalier D’Éon was a famous French spy, who was lived under cover in the Russian court disguised as a woman. After a period living as a man in France, they fell from grace and lived exiled in London, ordered by the French king to live as a woman once again. 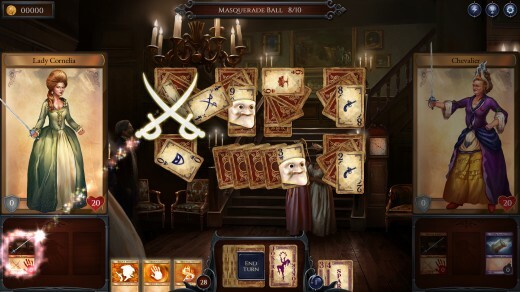 This period coincides with 1770, when Shadowhand is set, so we imagined a fictional visit from the Chevalier, who often gave impromptu displays of fencing skill, at a society ball attended by our heroine, Lady Cornelia. Training with the Chevalier improves your sword skills. The result is that if you have a sword armed it will receive extra charge every time you pick up a sword suit card. 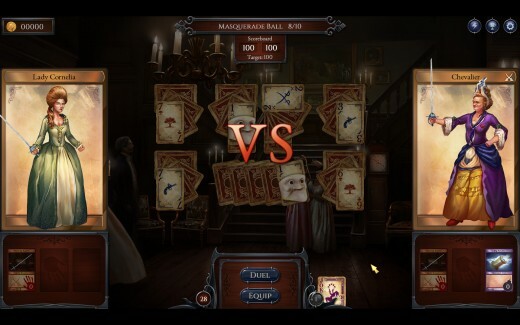 As you receive these specific trainings at various stages of the game, you can then decide when to strategically aim to collect more of a certain suit to give you a weapon advantage. Beware though – some enemies also have this ability! There will be more on how to use suits in the next blog post, which looks at suit locks. This entry was posted on Thursday, May 25th, 2017 at 1:36 pm and is filed under Developer Diary, Game Development. You can follow any responses to this entry through the RSS 2.0 feed. Both comments and pings are currently closed.